We’ve discussed finding the right gown, we’ve discussed finding the right bustle style, now it’s time to discuss finding your perfect veil. 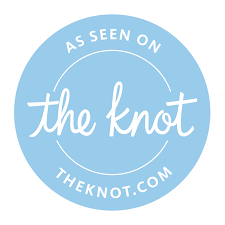 When trying to find your perfect veil, there are a couple of important aspects to consider. Don’t worry though, here at Curvy Rose, we’re here to help you choose the perfect veil for your big day. A quick chart of different veil types from Geomyra weddings and events. To Have a Blusher or Not to Have a Blusher Veil? You may or may not know what a blusher is, but as always we’ve got you covered here at Curvy Rose! One of the most traditional styles is the blusher veil. It is a short piece of fabric, usually attached by a comb, that covers the bride’s face as she walks down the aisle. When looking for this type of veil, search for the term two-tier blusher. You can also get the look of a blusher by using two matching veils one with a comb fastened toward the front crown of your head and the other facing toward the back with the two combs meeting at the middle. This option can be pretty fussy, so you may want to try it out before buying. Many brides who choose to wear the blusher veil often have their fathers or whoever walks them down the aisle lift it as a way of “giving away” the bride. A bride in a tea length dress with a birdcage veil. This veil style is the shortest of all the veil styles, and is one of the more popular veil styles among brides with vintage themed weddings. This style wears well with shorter and tea length wedding dresses. There is plenty of variety with birdcage veils; you can wear them towards the back of your head, but they’re normally worn just over the eyes or chin. These veils are just as cute as they are low-maintenance and they’re perfect for low-key courthouse or informal weddings. Bride with tea length dress and flyaway style veil. If you’re going for a vintage look, but just aren’t feeling the birdcage, this veil length is the way to go. The flyaway (aka shoulder length) veil isn’t as common among most brides, but many fashion forward brides love this length. This veil style works with both tea length and longer wedding dresses as well. If your dress has gorgeous details that you want everyone to see, then this may be the veil length for you. This is a very elegant and wearable length for most brides, especially brides with ballroom gowns. If you are a bride going for a more romantic look, you can add a blusher for a more romantic look. Also, if your wedding is more informal, this veil style is pretty versatile and works for daytime and nighttime settings. This is by far the simplest and most flattering veil style out there. It is also the most popular veil style among brides. This the veil type works better with longer gowns. A beautiful Juliet cap style veil. This veil length falls anywhere between the knee and the ankle, and it is a very delicate style. A variation of the waltz length veil that we carry in our boutique is the Juliet cap veil. Definitely not a veil style for everyone, but it is perfect for brides with a Gatsby themed wedding! If this is a style that interests you, we have one here in the boutique. This longer veil style stretches all the way to the ground, but it doesn’t give you a train! If you’re having a more formal wedding, or if you just want to feel like a princess, this might be the veil style for you. Bride in a ballroom gown with chapel length veil. This veil style is longer than the chapel length and is one of the most dramatic styles on the market. Yes, they are a handful to deal with. Yes they are totally worth the hassle! They photograph beautifully and are perfect for your most formal of weddings. Bride with an elegant Cathedral veil. Pronounced man-tea-ya, this veil style is just as elegant as the cathedral style and is very popular with traditional brides. A mantilla is usually a circular piece of lace or tulle with lace edging that is held in place with a comb. The edges of the veil frame your face and give you an elegant, regal look. Like every other aspect of selecting your wedding look, choosing a veil requires a bit of imagination, but it is totally worth it in the end. You have a lot of styles to choose from, including edging options such as raw, corded, beaded, ribbon and lace. Don’t be afraid to try on different styles to find the veil that makes your heart sing. In fact, we often work with a veil designer that will even customize your veil with appliqués to match your dress. Hopefully we’ve answered enough of your questions about veil styles here in this blog. As always, Curvy Rose is here to assist in whatever you need. If you have more questions on veil styles, feel free to contact us. We are always happy to help.